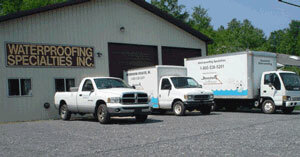 Waterproofing Specialties is your local Basement Systems® dealer in the Pennsylvania and New York area. We serve Warren, Olean, Du Bois and many outlying areas, including Bradford, Franklin, Saint Marys, Oil City, Punxsutawney, Clarion, Clearfield and nearby. See our full service area. Established in 1984, Waterproofing Specialties Inc. is a family-owned and operated business that specializes in basement waterproofing, crawl space linings, and foundation repair. Mike Pura runs the business together with his 2 sons and wife Carol. Before repairing basements, Waterproofing Specialties started as a company that built basements. They soon realized that it was more rewarding to repair basements than it was to build them from scratch. Now we specialize in interior basement waterproofing, bowed wall repair, and basement mold remediation. Waterproofing Specialties are certified, fully insured waterproofing professionals and our system designers and installers have been expertly trained. We have the answer to your wet basement, crawlspace, or foundation questions and we're more than happy to answer those questions for you. Waterproofing Specialties is proud to be part of the Basement Systems worldwide network. 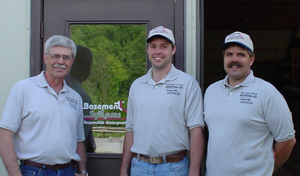 As basement waterproofers and crawl space repair experts, we are locally owned and operated contractors who have been in business since 1984. Basement Systems has revised and dominated the basement waterproofing industry with their innovative products, and has grown to be the largest waterproofing repair company in the world. Not all basement water problems are alike, so Basement Systems has developed a variety of solutions. With more than 30 patented products, there is a customized solution to your basement water problem. We have attended the University of Experience and have completed over 3,000 jobs. We take pride in the reputation we have earned as a basement waterproofing contractor, as can be seen in our customer's testimonials. We are certain you will recognize the value of our services, find our products to be superior, and our prices fair... as have hundreds of other customers just like you. Waterproofing Specialties, Inc. is a family-owned and run business run by the Pura family in the heart of Ridgway, Pennsylvania. 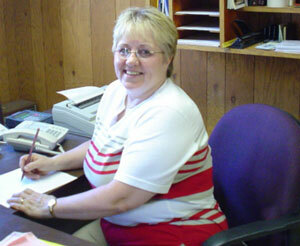 Mike runs the business together with his wife Carol who does the company's bookkeeping and his two sons Creg and Dave. Keeping our family in the waterproofing business brings our family to yours, when working on your home and we take great pride in that. At Waterproofing Specialties, we offer free, no-obligation waterproofing quotes to homeowners within our service area.